"Henry Esmond" from William Makepeace Thackeray. English novelist of the 19th century (1811-1863). 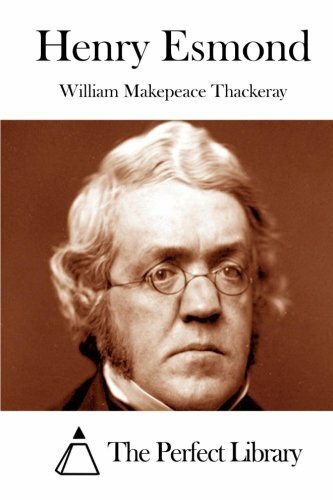 William Makepeace Thackeray was a nineteenth century English novelist who was most famous for his classic novel, Vanity Fair, a satirical portrait of English society. With an early career as a satirist and parodist, Thackeray shared a fondness for roguish characters that is evident in his early works such as Vanity Fair, The Luck of Barry Lyndon, and Catherine, and was ranked second only to Charles Dickens during the height of his career. In his later work, Thackeray transitioned from the satirical tone for which he was known to a more traditional Victorian narrative, the most notable of which is The History of Henry Esmond. Thackeray died in 1863.